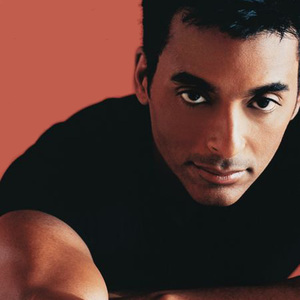 Jon Secada (born Juan Francisco Secada on October 4, 1962) is an Afro-Cuban singer and songwriter. Secada was born in Havana, Cuba, and raised in Hialeah, Florida. He has won two Grammy Awards and sold 20 million albums since his English-language debut album in 1992, made famous for his song Just Another Day. His music fuses funk, soul, pop and Latin percussion. Secada also has appeared as a songwriter for Gloria Estefan, Jennifer Lopez, Ricky Martin, Mandy Moore and other performers. Secada arrived with his parents in the United States in 1971 at the age of nine. While attending school, his family managed a coffee shop. As a teen, Secada discovered his gift for music. In the culturally diverse city of Miami, Secada was exposed to salsa and merengue. Secada also became interested in R&B and pop music performed by Barry Manilow, Marvin Gaye, Billy Joel, Elton John and Stevie Wonder. Secada graduated from South Florida's Hialeah High School in 1979 and then enrolled at the University of Miami. During college, he became an accomplished jazz musician. He was inducted into the Iron Arrow Honor Society, the highest honor afforded a University of Miami student. He completed a Bachelor's degree in Music and then earned a Master's degree in Jazz Vocal Performance. In the late 1980s, Gloria Estefan hired Secada as a background singer. He also started composing music for Estefan, including some of her best-known ballads. Among other songs, Secada co-wrote and sang background on Coming Out Of The Dark Gloria's number one hit from her 1991 album Into The Light. During Estefan's "Coming Out of the Dark" tour, Secada was given the life-changing opportunity of taking over the stage and performing solo. It launched his career as a solo performer. Secada scored a No. 5 Pop hit (and a No. 5 UK hit) with his Gold single "Just Another Day", and three more top 30 hits, Angel (No. 18 Pop, No. 23 UK), I'm Free (No. 27 Pop, No. 50 UK), Do You Believe In Us? (No. 13 Pop, No. 30 UK), and Do You Really Want Me (No. 30 UK) received national radio play. The Spanish-language version of Secada's solo album, Otro d&iacute;a m&aacute;s sin verte (EMI-Latin), became the Number One Latin album of 1992 and earned Secada his first Grammy Award for "Best Latin Pop Album". In 1994 by Secada's second album, Heart Soul And Voice (EMI) featured members of The Miami Sound Machine and guests Arturo Sandoval (trumpeter) and Betty Wright (background vocals). The album went Platinum in the US. One of its singles had a top ten Pop hit If You Go and a Top 30 hit MENTAL PICTURE, which was used in the soundtrack for the film "The Specialist". His third album on EMI, Amor, was released in 1995 and earned Secada his second Grammy for "Best Latin Pop Performance". Secada co-wrote the song Bella, the Spanish version of She's All I Ever Had for Ricky Martin's 1999 Multi-platinum self-titled album. He also co-wrote and co-produced the song Baila for Jennifer Lopez, which appeared on her 1999 multi-platinum album, On the 6. He worked with teen singing sensation Mandy Moore on two of her tracks, One Sided Love and It Only Took A Minute from her self-titled multi-platinum album. In 2001 he was a backing vocalist on Enrique Iglesias's album multi-platinum Escape on the tracks Don't Turn Off The Lights and Love 4 Fun. Secada has performed with opera legend Luciano Pavarotti and recorded a duet with Frank Sinatra on "The Best Is Yet to Come" from Sinatra's Duets II album. In 1995, Secada starred on Broadway's hit musical Grease, where he acted in the lead role of "Danny Zuko". Broadway called upon Secada once again in 2003, where he played the Emcee role in Sam Mendes' acclaimed version of Cabaret. In the fall of 2004, Secada also starred as "Joseph" in Andrew Lloyd Webber and Tim Rice's theatrical hit Joseph and the Amazing Technicolor Dreamcoat. Nov 30, 2007: Jon participated in the Walt Disney World Christmas Day Parade which taped inside the Magic Kingdom at Disney World Orlando, Florida.